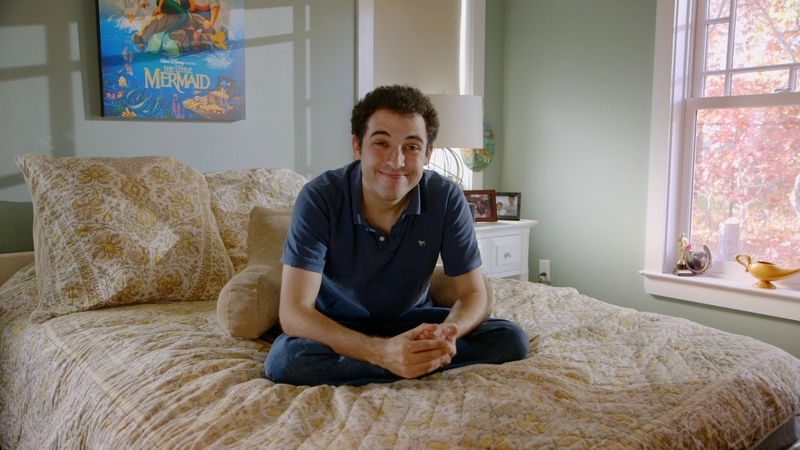 A portrait of Owen Suskind, of "Life, Animated," for whom Disney movies have provided a powerful lifeline to language, understanding and personal progress. Envision 2016. 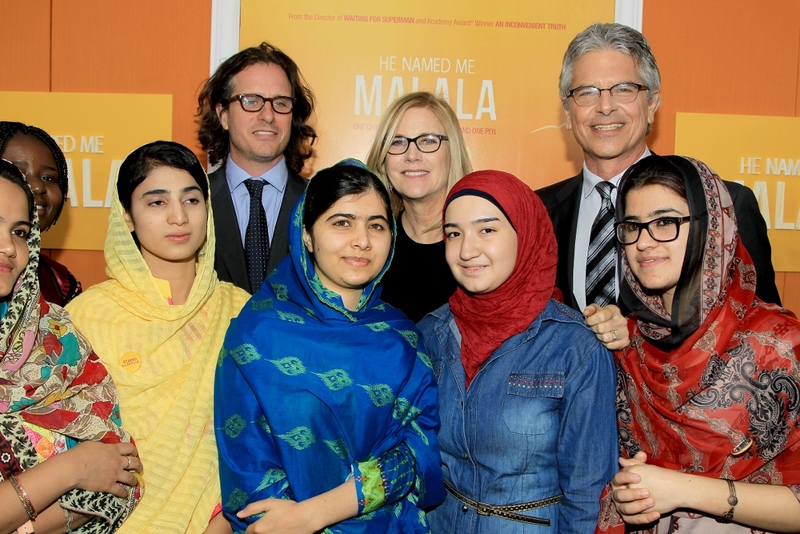 "He Named Me Malala" with Davis Guggenheim, Director; Laurie MacDonald and Walter Parkes, Producers with Malala Yousafzai and friends. Envision 2015. Coral Bonelli, star of "Quebranto/Disrupted", a cabaret perfomer who started her career in Mexican cinema as a male child actor known as "Pinolito." 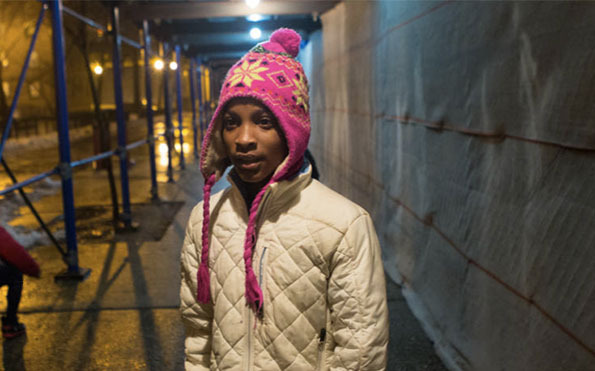 Brenda Myers-Powell, star of "Dreamcatcher," a former teenage prostitute who escaped her life on the street to become a force for change in the lives of Chicago's at-risk women. 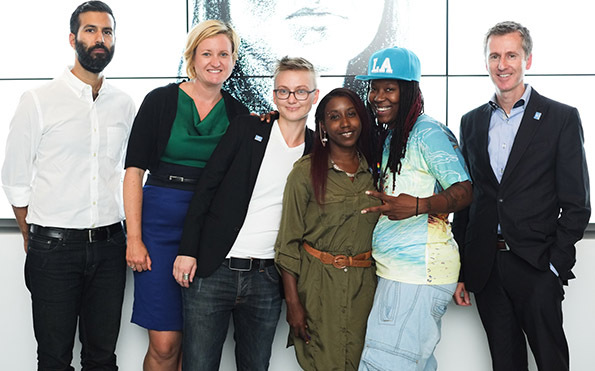 Brenda Myers-Powell, Co-Founder and Executive Director of the Dreamcatcher Foundation, mentors young women to improve their lives through education, empowerment and prevention. 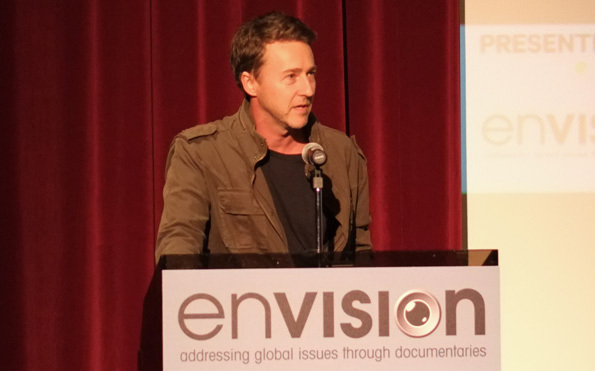 Keynote Speaker, Edward Norton, UN Goodwill Ambassador for Biodiversity at Envision, September 2014. 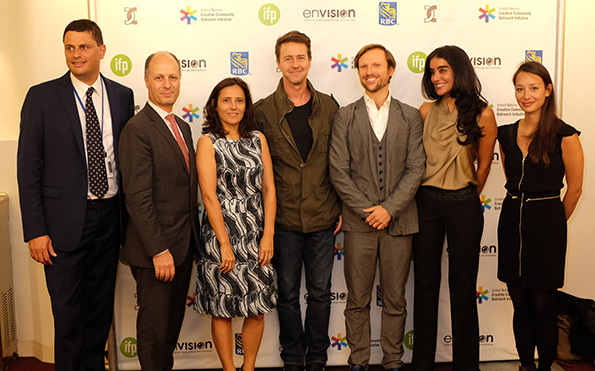 Nik Sekhran, UNDP; Maher Nasser, UN DPI; Joana Vicente, IFP; Edward Norton, UN Goodwill Ambassador; Orlando von Einsiedel, Director; Nermeen Shaikh, Democracy Now; Joanna Natasegara, Producer. 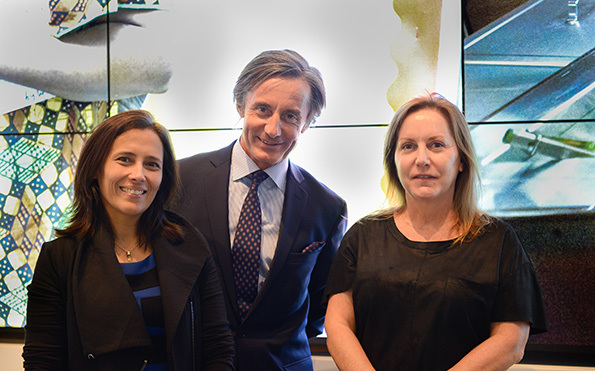 VIRUNGA, Envision 2014. 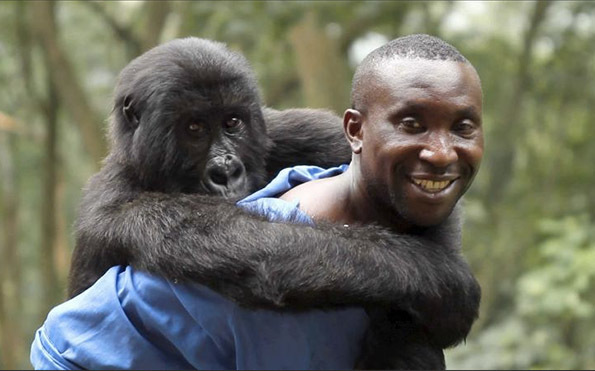 Andre Bauma dedicates his life to caring for the orphan gorillas in Virunga National Park. 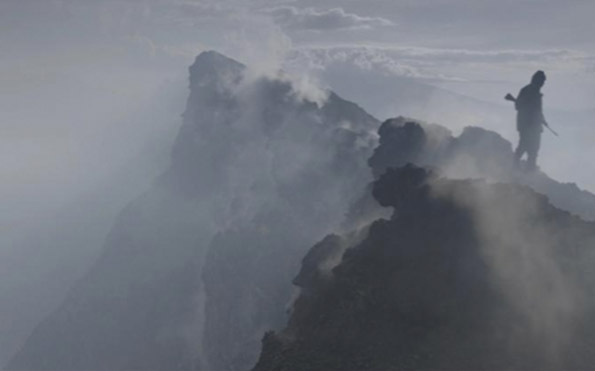 A small team of park rangers protect Virunga National Park from armed rebels, poachers, and dark forces struggling to control Congo's natural resources. 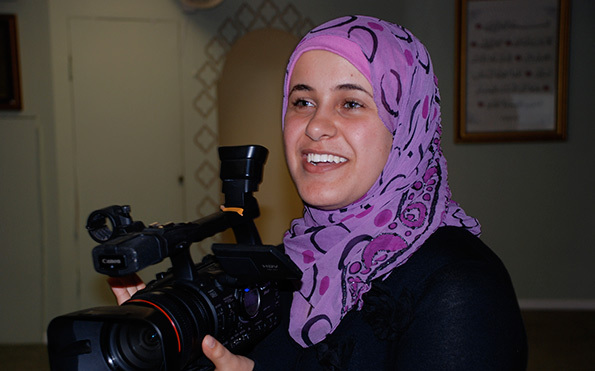 Faiza Almontaser, Director of "Poet Against Prejudice," a film about overcoming prejudice in the aftermath of 9/11. 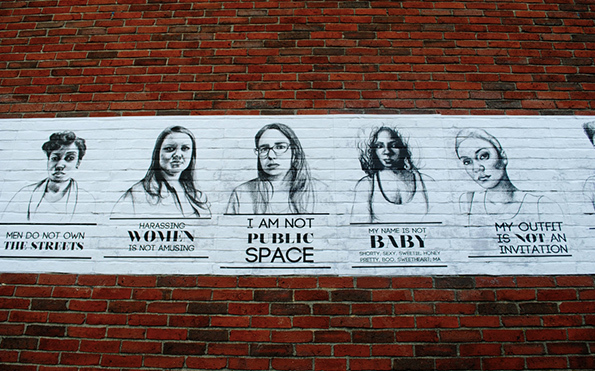 Stop Telling Women to Smile: Public art addressing gender-based street harassment. Art by by Tatyana Fazlalizadeh. 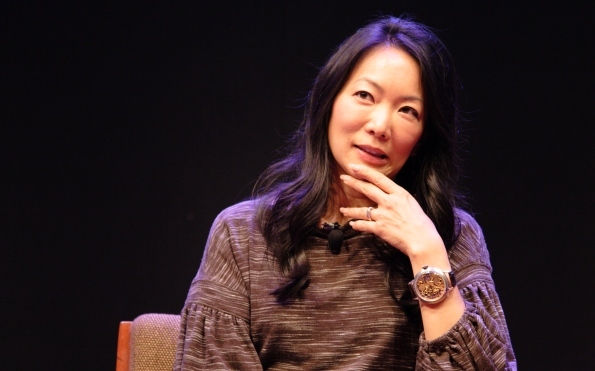 Photo by Ruth Fremson. Courtesy of The New York Times. 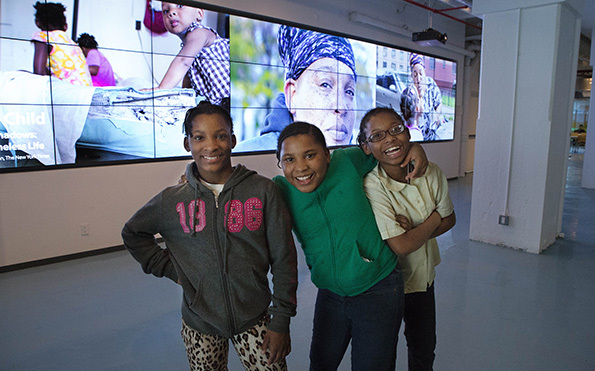 Dasani with her siblings, Nijai and Avianna, visiting the photo exhibit at the Made in NY Media Center. 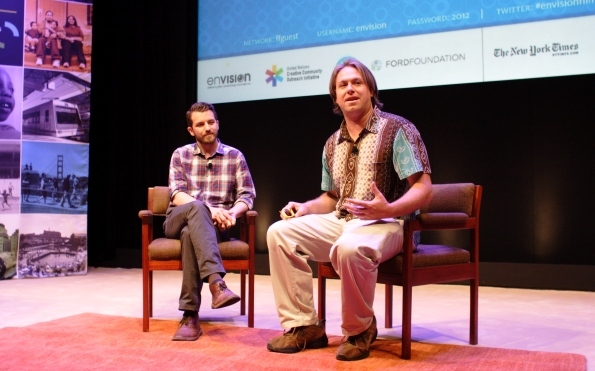 Brandon Litman, Producer and Kyle Ruddick, Director take questions about their film "One Day on Earth," Envision 2012. 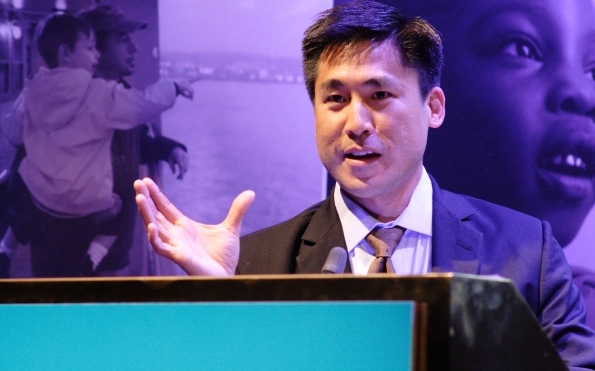 Eugene Hernandez, Film Society of Lincoln Center, moderates "Stories of the Global Energy Challenge." 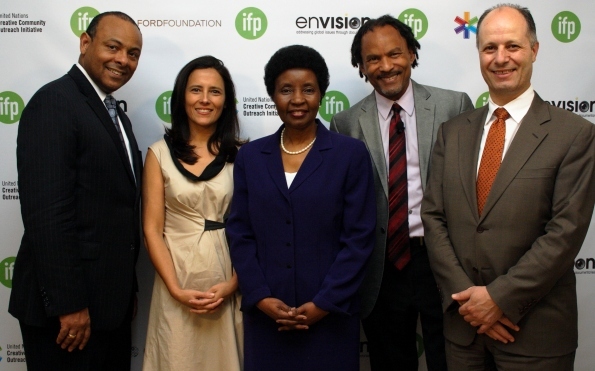 Roger Blissett, Managing Director, RBC Capital Markets, Joana Vicente, Executive Director, IFP, Asha-Rose Migiro, UN Deputy Secretary-General, Orlando Bagwell, Director, JustFilms, Ford Foundation, and Maher Nasser, Acting Head, UN Dept Public Information. 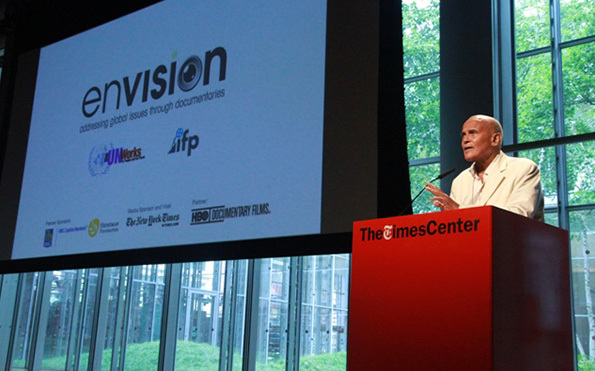 Keynote Speaker Harry Belafonte, UNICEF Goodwill Ambassador. Envision 2010. 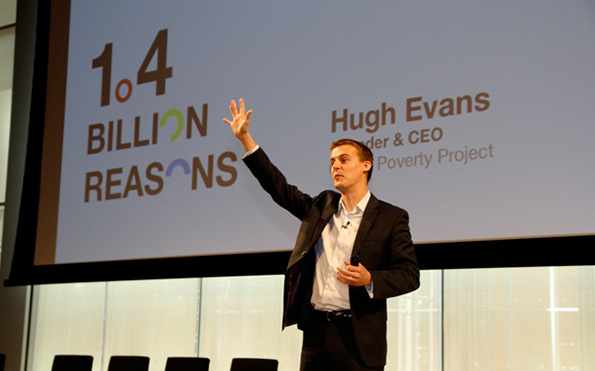 Hugh Evans, Co-Founder, Global Poverty Project, Envision 2011. Kennedy Odede, Founder, Shining Hope for Communities and Lynne Patterson, Co-Founder, Pro Mujer, "The Role of Women in Alleviating Hunger and Poverty," Envision 2011. Keynote Speaker Ban Ki-moon, United Nations Secretary General, Envision 2009. Abigail Disney, Producer of "Pray the Devil Back to Hell," Envision 2009. 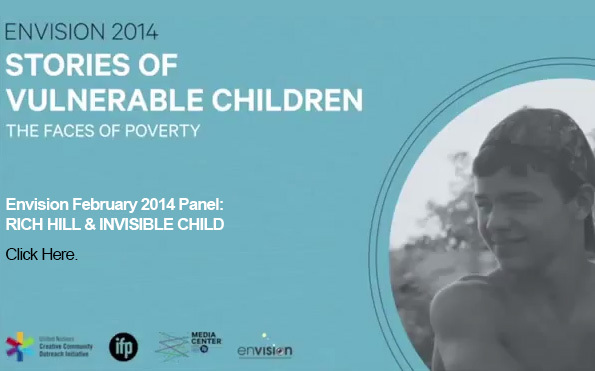 Sarah Jones, Playwright and Performer, UNICEF Spokesperson on Violence Against Children; Envision 2009. 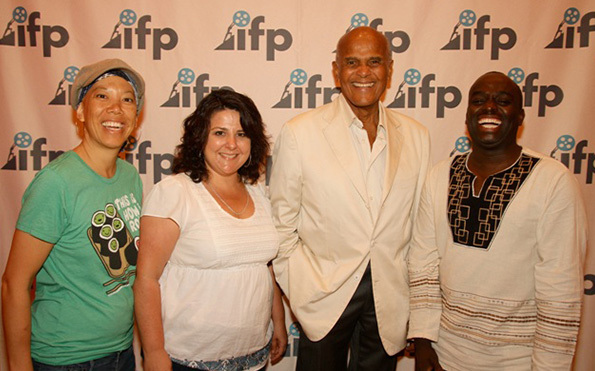 "A Small Act" Screening: Patti Lee, Producer: Jennifer Arnold, Director; Harry Belafonte; Chris Mburu, Office of the High Commissioner for Human Rights, United Nations. Envision 2010. 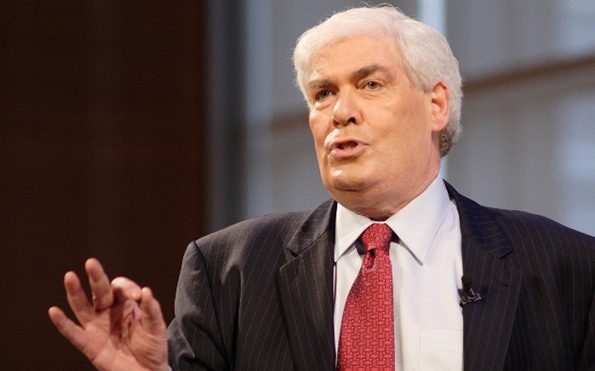 Jim Clancy, CNN, moderating panel discussion "Food Security and Countries in Crisis." Envision 2011. 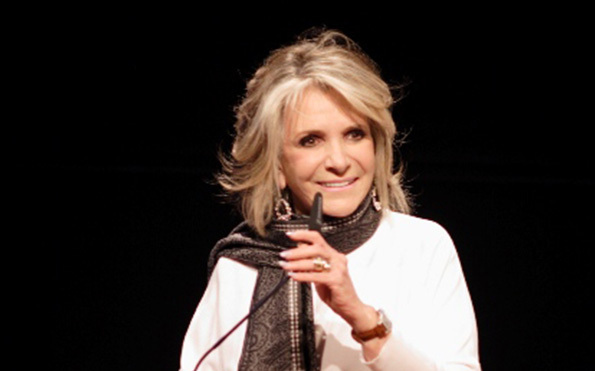 Sheila Nevins, President, HBO Documentary Films introduces opening night screening of "The Sound of Mumbai: A Musical." 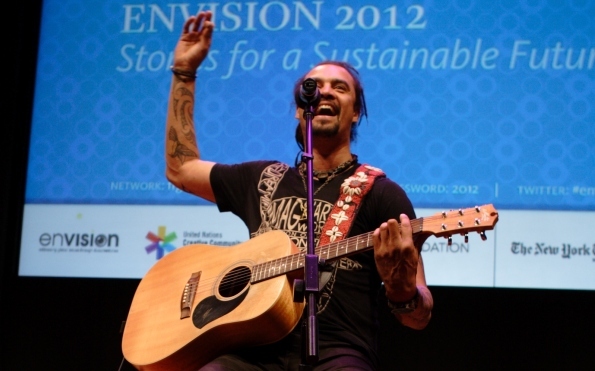 Envision 2011. 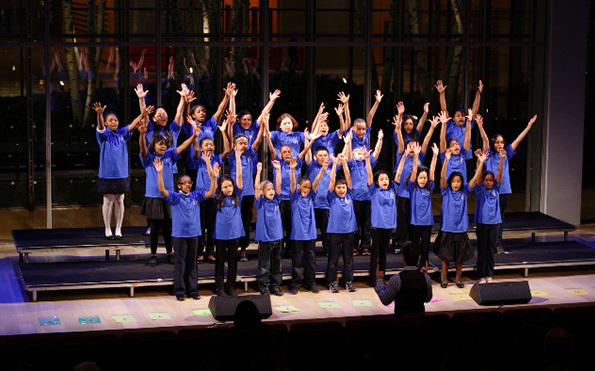 Performance by PS 32 Chorus, The Belmont School, The Bronx, directed by Marc Socol, Envision 2011. 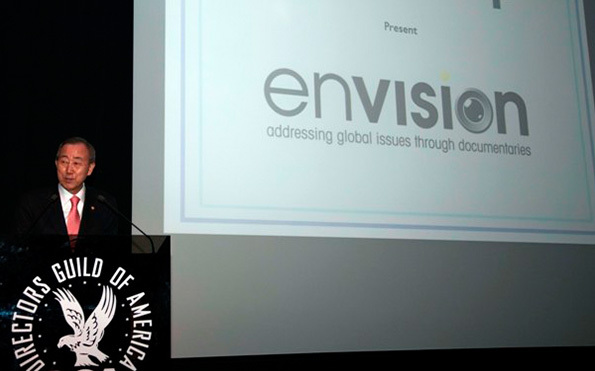 The UN's Sustainable Development Goals (Global Goals) are the connective thread running through Envision's screenings, panel discussions and social networking. Building on the Millennium Development Goals, the new Global Goals provide a roadmap to ending global poverty, promoting prosperity and well-being for all, protecting the environment and addressing climate change by 2030. 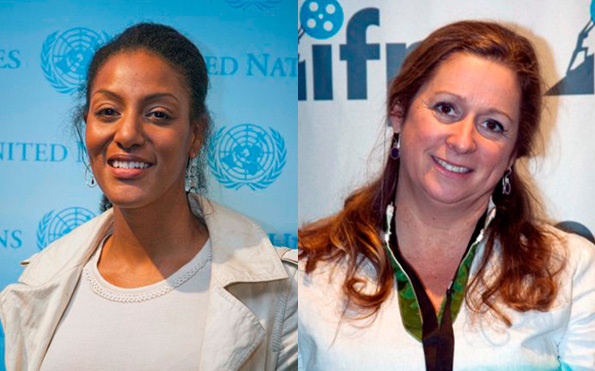 Founded in 2008, Envision is a unique partnership between the Independent Filmmaker Project and the United Nations Department of Public Information. 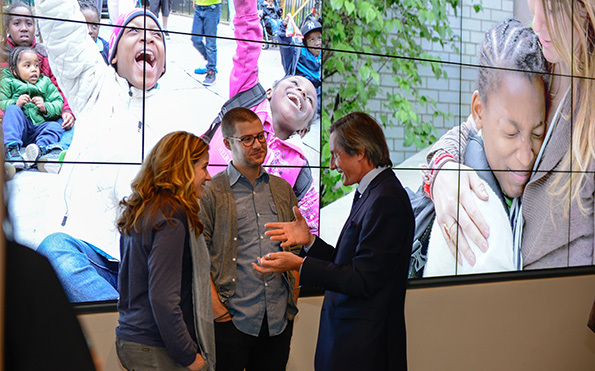 Our partnership is built on the shared belief that storytelling and documentary film can be powerful tools in building a better future for all people. 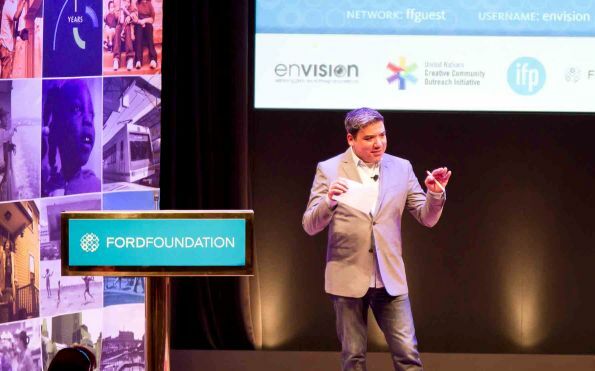 Anchored by the Sustainable Development Goals, Envision’s annual gathering connects UN experts and NGO advocates with some of the most creative minds in filmmaking and new media, with the goal of finding fresh, compelling ways to create momentum for social change. 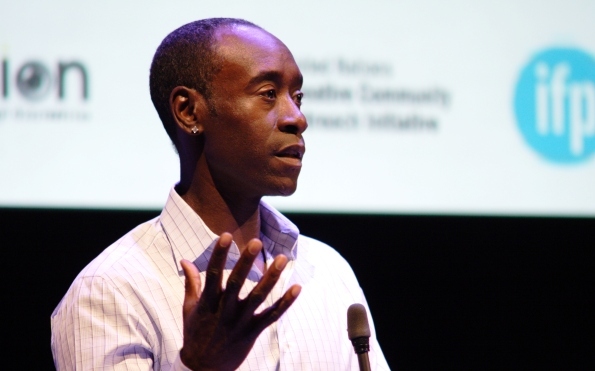 The gatherings offer a critical opportunity for filmmakers and social change activists to forge creative, cross-sector partnerships to promote their causes and reach wider audiences.